HRD or High Dynamic range is the latest technology to hit the TV. Just as 4K is getting more popular, it looks like the next big thing is going to be HDR. 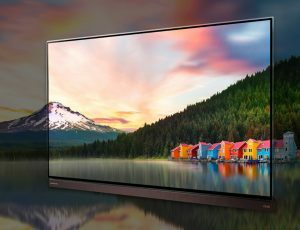 There are already many shopping deals for TV’s that are supposedly HDR capable. Some people might be more familiar with the term thanks to Photography, but the question is, what is HDR is terms of TV? And who do you identify one? Basically, HDR is the ability to see more lifelike images on the TV. It does this by widening the gamut of colors that can be seen onscreen and preserve the details in the darkest and brightest parts of the image. From demonstrations of HDR TV’s, you get much more lifelike and natural video. The problem was that initially, too many manufacturers rushed out HDR capable sets but all with different standards. The UHD Alliance of TV manufacturers then decided on a final standard and a label to prevent the abuse of the HDR term. The new standard is called UHD Premium and is the way consumers will be able to tell if their TV supports HDR. What actually defines an HDR TV is the color and the contrast levels. Bluray uses 8-bit color but in order for a TV to be HDR capable it will need to support 10-bit color. Also known as ‘deep color. According to the standard, it does need to show all 10-bits at once, just has to be able to process the 10-bit color. Contrast on a TV is the difference between light and dark and the greater the contrast ratio the better the image. If you decide to buy online, ensure that the TV has the UHD Premium label and you will be sure that it is an HRD capable set.